I took this picture in a museum in upstate New York back in 2009, although to my shame I can’t remember exactly where I shot it. The things which people discard, the detritus of day-to-day life, can be just as fascinating as the things they treasure. And in some ways the dirt and dust, the patina of neglect, only add to the fascination of the objects. I wonder what rubbish of ours people will inspect and document 100 years from now. A few years ago, I took a gentleman on a photographic walk around London, and his particular area of interest was “rubbish”. He travelled all over the world photographing the sort of things which most of us just think ought to be tidied up. It was one of the more fascinating photo projects I’ve seen, and a reminder that inspiration can sometimes be found even in the most unlikely places. 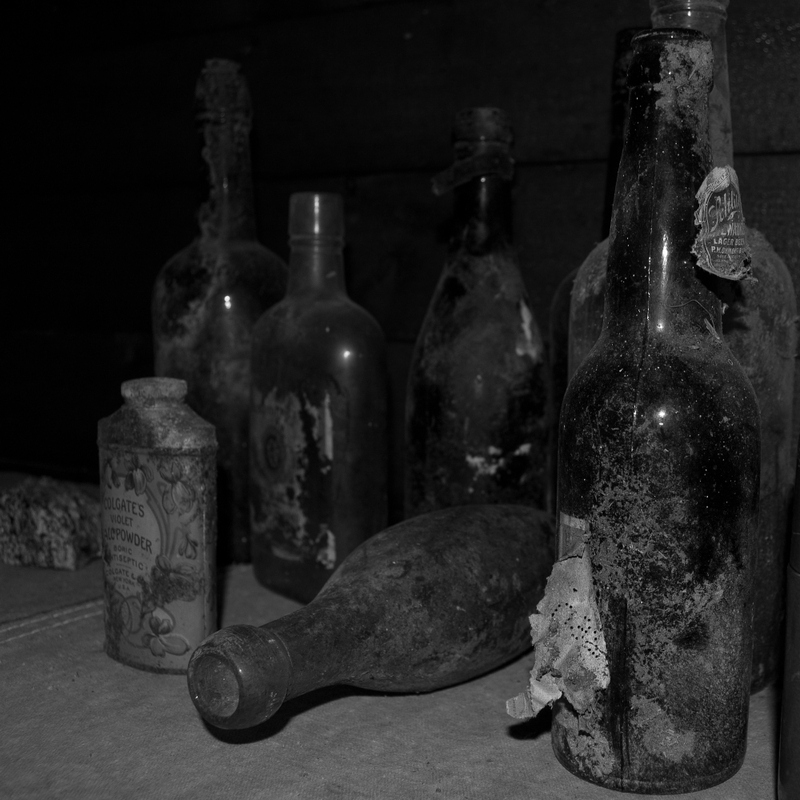 This entry was posted in Photography, Still Life and tagged black and white, bottle, detail, dirt, dust, history, New York, photograph, Photography, rubbish, talc. Bookmark the permalink.